Masters Mattress Cleaning St Albans Park provide professional mattress steam cleaning, dust mist removal, anti allergic mattress treatment, mattress dust mite removal, mattress spot & stain removal using eco friendly chemicals. Get fresher look, Germ and Insect free Healthier Bedding.Same Day bookings!!! Master Mattress Cleaning St Albans Park is identical with flawless mattress cleaning and eccentric customer service. We have developed a pro-active approach to fight with the dust mites that reside in your mattresses. Your mattress acts as a breeding place for numerous contaminants and parasites, without your knowledge. Our cleaners offer a deep cleaning of these mattresses to make them fresh, clean, and healthy again! Call us for a free quotation. Most people think that by wrapping their mattresses with covers keeps them safe from allergens and other particles that reside in the mattress. One needs to understand that using mattress cover or changing bed sheets on daily basis alone does not imply that you have protected your mattresses from dirt and dust mites. Professional cleaning needs to be done more often to ensure that you and your family sleep on a clean, healthy and allergen free mattress. Also, you need professional cleaners to do away with various kinds of stains and odors from your mattresses, which are bound to take place over a period of time. Our technicians at Master Mattress Cleaning St Albans Park have expertise in stain and odor removal. So call them right away and switch to a healthier bedding today onward. Getting mattress cleaning regularly saves money as it extends the life of your mattresses so that you do not need to replace it with a new one. Just get it cleaned by Master Mattress Cleaning St Albans Park and you could restore your old mattresses. Master Cleaners St Albans Park offers a wide range of customised services for mattress cleaning to its clients across all the suburbs of the city, and mattress mould removal is one of them. Mould on the mattress is a dangerous situation that invites many health hazards in the home. Mould presence on the mattress can give birth to breathing and skin problems. You spend a good part of the time on your mattress and you do not want to spend it with mould growth on it. Hence, if you want to keep yourself and family safe from the attack of disease caused by nasty mould, hire our professionals for the removal of mould from your mattress. Mattress steam cleaning is the most suitable way to clean, sanitize and treat the mattress. Steam cleaning has the potential to clean a mattress and kill all the bacteria in the mattress. At Master Cleaners St Albans Park we have knowledgeable and skilled technicians who are proficient in providing quality mattress steam cleaning services. Master Cleaners St Albans Park own the industries best cleaning machine and tools and we only use certified and approved cleaning solvents. We ensure that our customers will get the best in class services, for booking please reach out to us, call on our numbers and book the service. 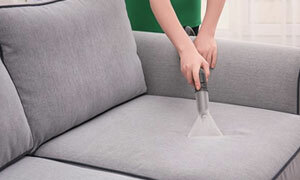 Master Mattress Cleaning offers you a guaranteed result for all our cleaning services. We have served different suburbs of St Albans Park for the last twenty years and we take pride in the fact that we have always pleased our customers with our ability, skills, intelligence, futuristic cleaning tools, and fantastic cleaning methods. Our cleaners are habitual of giving outlandish customer service to each of our customer and they have never disappointed anyone in the past. Why Choose Masters Mattress Cleaners St Albans Park? Quality mattress cleaning at lowest prices in St Albans Park. Master Mattress Cleaning St Albans Park is the first choice of thousands of people in St Albans Park whenever they need any cleaning service. Customers who have associated with us find a sense of contentment, tranquility, and satisfaction with our mattress cleaning services. Pick up your phone and move to a healthier bedding at an affordable price!